118th St., Astoria, 503-325-4540, buoybeer.com. Astoria has been a beer destination for long time—as the oldest settlement west of the Rockies, it was home to breweries just after the Civil War and is in the last county in Oregon to allow booze before national Prohibition. The modern history of craft beer in this part of town (don't call it a beach town; at least, not when talking to locals) starts up the hill at Fort George. In its wake, this dockside brewpub opened in 2014 and has quickly become one of the state's top beer destinations. Buoy bobs atop the docks over the shores of the Columbia River in downtown Astoria, with a fantastic view of the bar pilots ferrying cargo ships out to sea or into port. One corner of the dining room has a glass floor overlooking bellowing sea lions below. 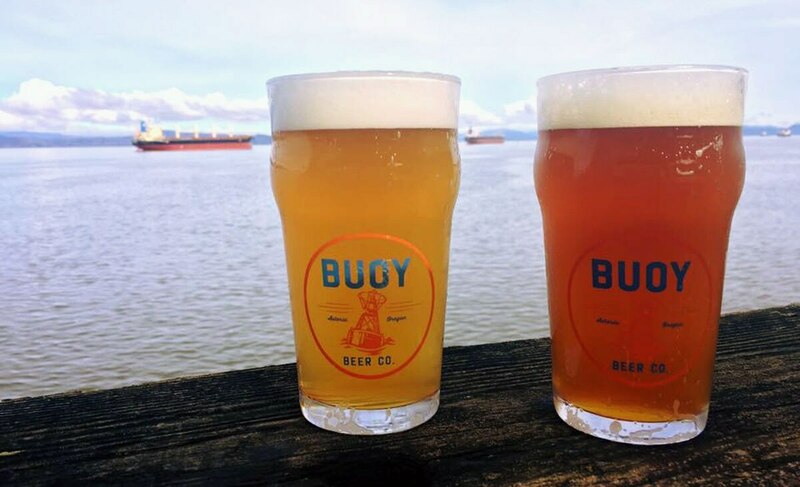 Buoy makes roundly good beers, but shows an especially deft touch with lagers, including a killer Pils. You could also do a lot worse on food, as Buoy buys from the fishermen working outside its windows. I really like the fish 'n' chips, but Buoy might be missing that or other favorites if choppy seas keep the fleet docked for the day—there's no freezer, and if the boats don't come in with fresh fish, you'll have to subsist on burgers and pasta.